An alien race has hit the Earth in an unrelenting assault, unbeatable by any military unit in the world. 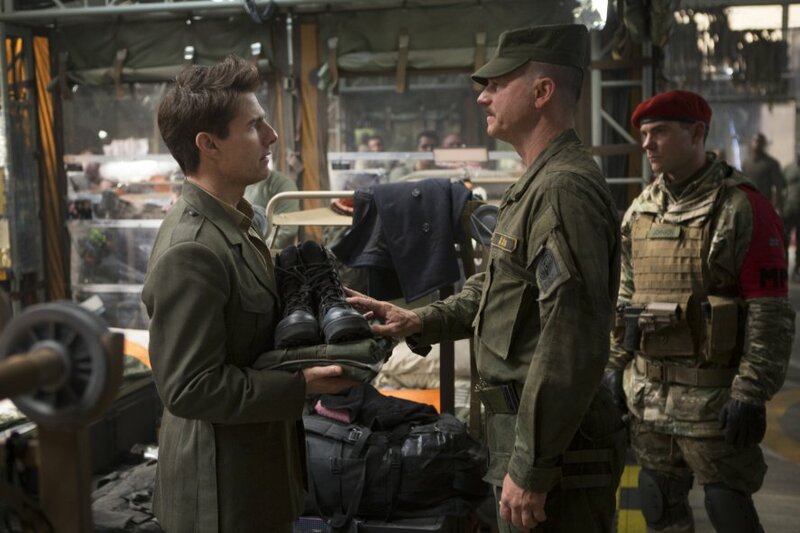 Major William Cage (Tom Cruise) is an officer who has never seen a day of combat when he is unceremoniously dropped into what amounts to a suicide mission. Killed within minutes, Cage now finds himself inexplicably thrown into a time loop-forcing him to live out the same brutal combat over and over, fighting and dying again…and again. 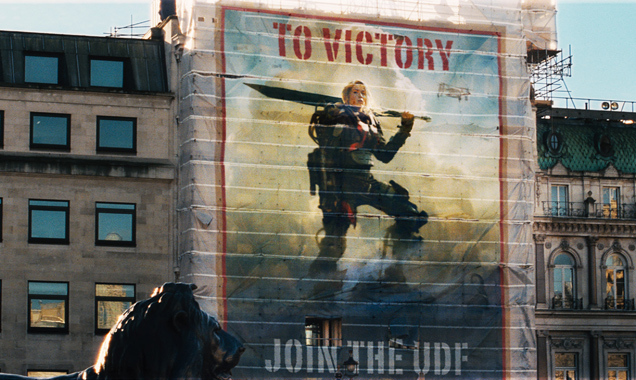 But with each battle, Cage becomes able to engage the adversaries with increasing skill, alongside Special Forces warrior Rita Vrataski (Emily Blunt). And, as Cage and Vrataski take the fight to the aliens, each repeated encounter gets them one step closer to defeating the enemy. This review has absolutely no spoilers. The spoilers are provide on the poster, the trailer itself. Live, Die, Repeat. So, I don’t think whatever I write will spoil anything. Honestly, I wasn’t looking forward to the film at all before it’s out. When my friend wanted to catch it, I told him I would rather re-watch Zac Efron’s ‘Bad Neighbours’. Why? I thought the idea of reliving and repeating a day until you finally defeat the enemy seem super cliché. Isn’t it just like a computer game then? If you die during the battle, you restart fight again and again until you defeat the enemies and kill the “king”. Boring. Well, of course, with the ratings I’ve given it, you can see I had already eaten my words. I was quite impressed when the film used Emily Blunt as the “Poster Girl”, which it actually resemble the female version of Captain America. It was an interesting change to see “Girl Power” in a blockbuster, and for once, Tome Cruise is more comedic + cowardly than confident + cocksure. While many will agree that Tom Cruise’s character was an interesting change for once, I thought he didn’t exactly bring out the flamboyant, charismatic Army Public Relations officer as much as, perhaps, Jackie Chan could. I’m not saying Jackie Chan will fit the role of Cage, but he had a number of films in his belt where he had to act as an untrained nobody who is scared of fights and battles. 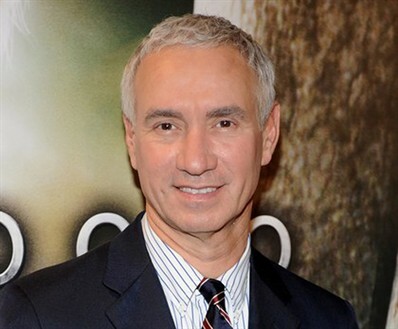 Fans loved Chan because of his ability to bring out that desperation and panic to the point of comedy. But of course, this was a great attempt to watch Tom Cruise acting out a “cowardly-turn-brave” character with such dramatic intensity. tYes, while it seems that I have been criticizing a lot despite my high rating, I was actually VERY impressed deep down. Watching the particular scene where Cage was brought in to the bunk by General Brigham (Bill Paxton) repeat so many times, I was observing the soldiers walking behind (in filming terms, featured extras) where they have to repeat the actions (weight lifting), the facial expression (of disdain) over and over again. It was almost like a musical rehearsal without the singing. I love how all the characters (especially J Team) were all given their moments of humor, terror or simple eccentricity. While this is a film about repetition, I am glad to say, it never felt tired or boring. I can, in fact, watch it over and over again, just for the sake of analysing what they do same and different each time. Rita’s (Emily Blunt) entrance was memorable. Her graceful yet strong yoga (peacock) pose while the chaos was outside the training room totally brought out her character. However, when the poster of Rita was shown, I thought she would have a bigger play in the film, with more character development and performance but somehow (perhaps because of the editing), her involvement seemed underdeveloped. 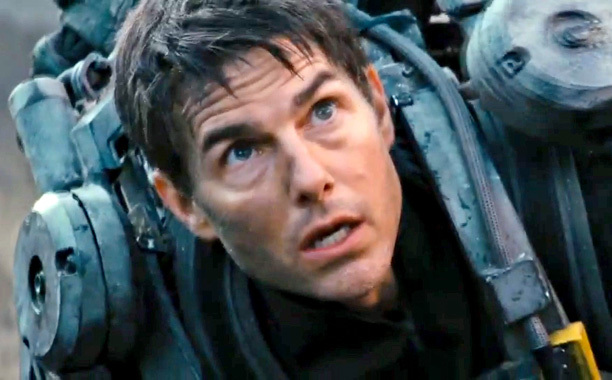 I love how “Edge of Tomorrow” was able to keep the audience on the edge constantly with their repeat scenes. There were moments where I thought, “Hey, I got the idea (of the repeated things he had to do), let’s move on and give me something else”, but the film has actually moved on, leaving out scenes which got me to figure out some information myself. 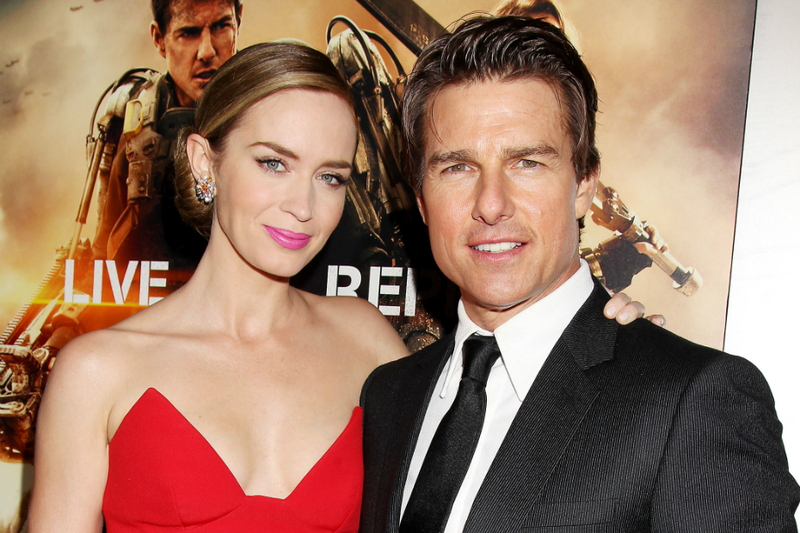 Tom Cruise was one of the first people to learn about Emily Blunt’s pregnancy. The cast and crew had to return a few months after principal photography had wrapped to do some pick up shots. 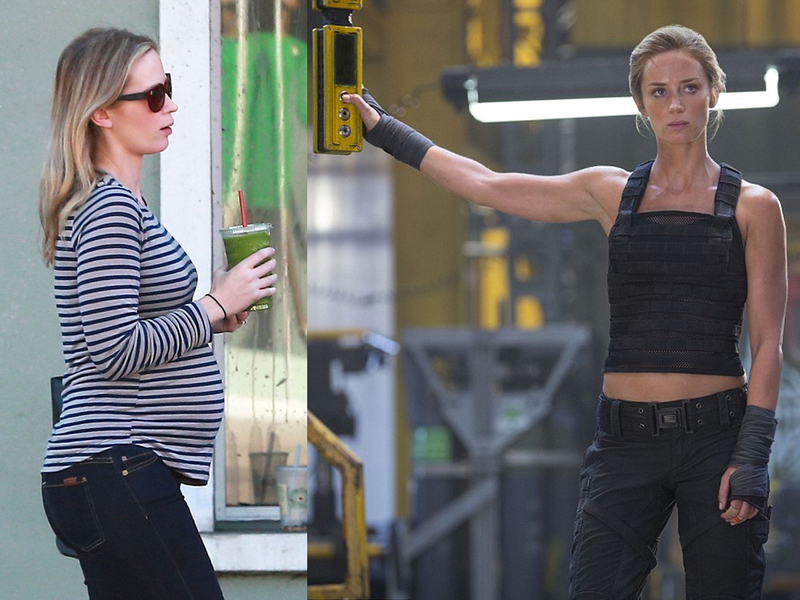 During the couple of months between the two shoots, Emily Blunt became pregnant and was only a few weeks along when they had to return for the additional filming. Because of the pregnancy, Blunt opted to not do her own stunts for this portion of the shoot, but didn’t tell anyone why, since the pregnancy was still in the early stages. 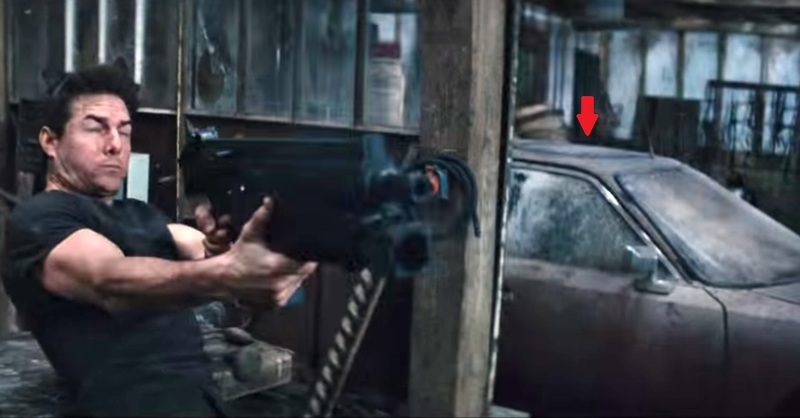 This confused Tom Cruise, since she had done most of her own stunts during principal photography. Blunt revealed to him that she was in the early stages of pregnancy, which according to her, made him the only person besides her husband and one close friend to know about the pregnancy. The first writer on the film, Dante Harper, who did not receive final credit, sold his spec script to Warner Bros. in 2010 for $3 million. 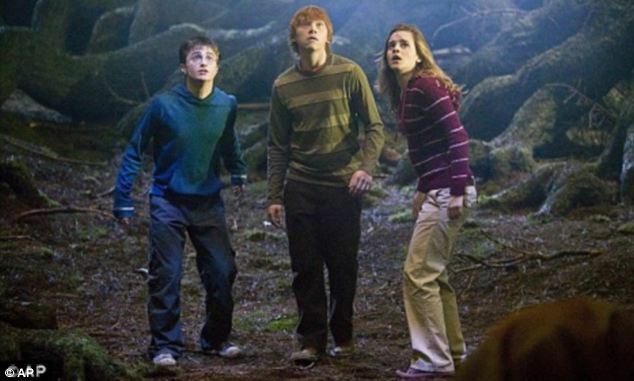 Filmed almost entirely on the same sets used for the ‘Harry Potter’ series of films. Emily Blunt admitted that after putting the metal suit, she started crying because it was so heavy (it weighted 85 pounds) and that she would be required to perform action scenes in it for 5 months. She was jokingly told by Tom Cruise to ‘stop being such a wuss’. 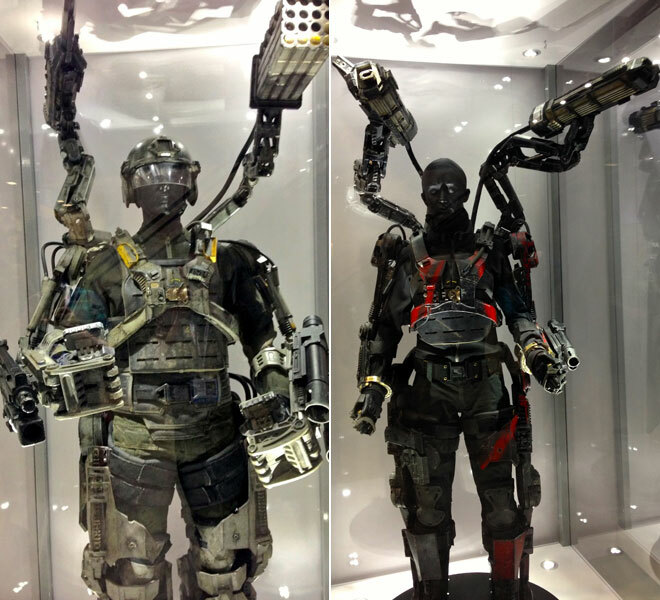 The visually impressive metal exosuits that allowed full movement weighed an average of 85 pounds (38 kg). One of the heavier versions, at 130 pounds (59 kg) ,had angel wings with a sniper rifle and missile launcher. And poor Cruise had to sprint in it. The suits were so heavy that between takes, the actors would be suspended by chains from iron frames to take the weight of the suits off their shoulders. 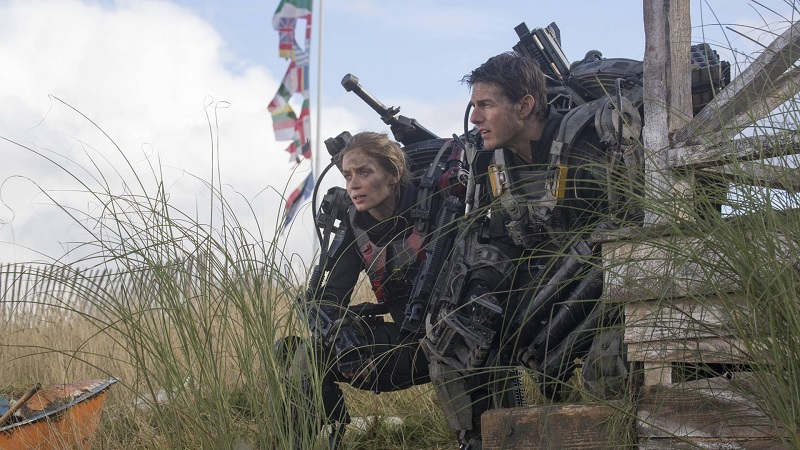 Tom Cruise wore an actual metal suit for the duration of the shoot rather than rely on C.G.I enhancement. 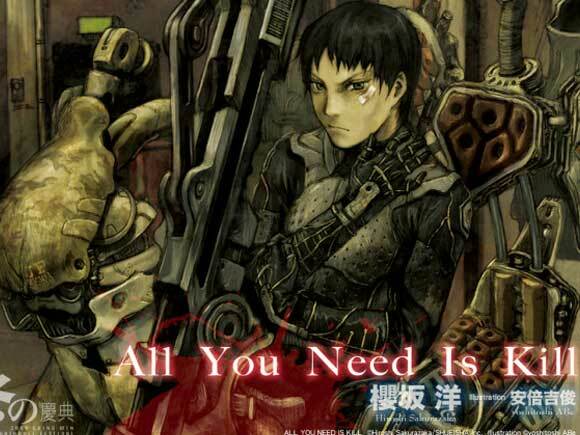 Edge of Tomorrow is based of manga and novel ‘All you need is kill’ by Hiroshi Sakurazaka. In the original book, they’re invading Tokyo, Rita is American, and Cage is a Japanese man named Keiji Kiriya, nicknamed “Killer Cage” by the end. 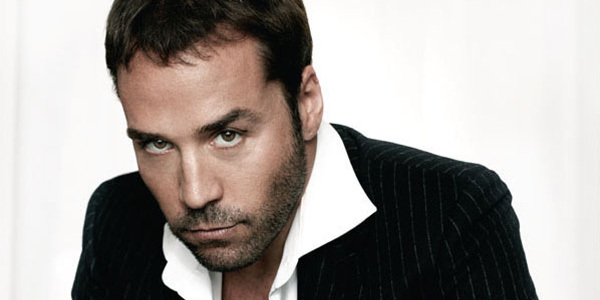 Jeremy Piven’s character (Colonel Walter Marx) was added during re-shoots but ended up being cut from the movie. The dusty old car is a Citroen CX – a 1974 model manufactured by Citroen.. 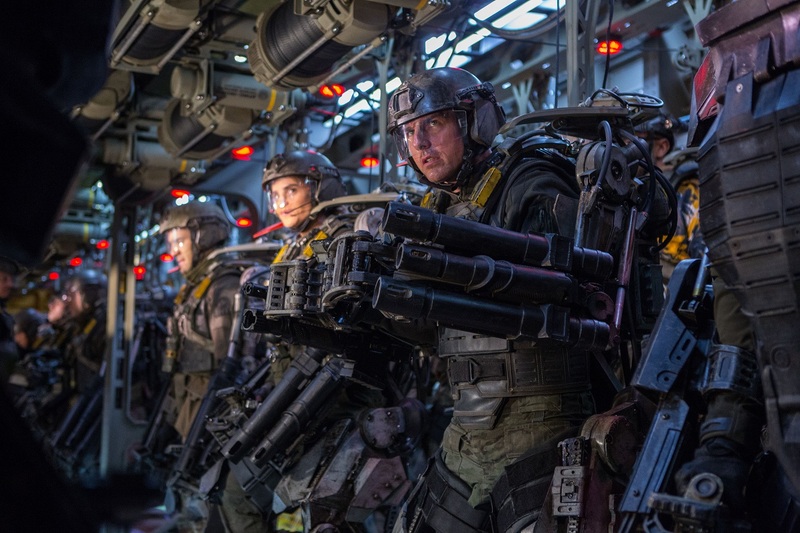 The Edge of Tomorrow red carpet premieres mimic the movie. 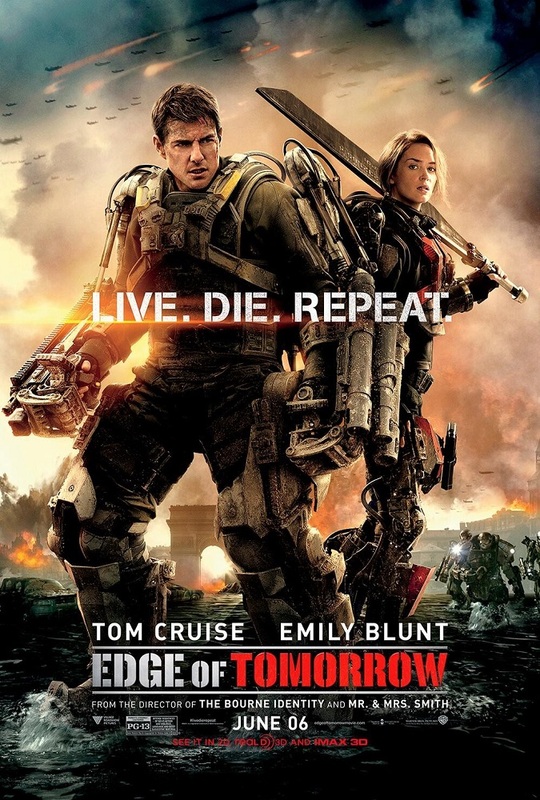 Cruise and Blunt took advantage of the time difference and went on 3 Red Carpets, 3 Countries, 1 Day for the ‘Edge Of Tomorrow’ Premieres. The race against the clock started in London at 7am, then Paris at 2pm, and finally New York City at 10pm. All on the same day! Check out Edge Of TomorrowOfficial Website and Facebook Page! 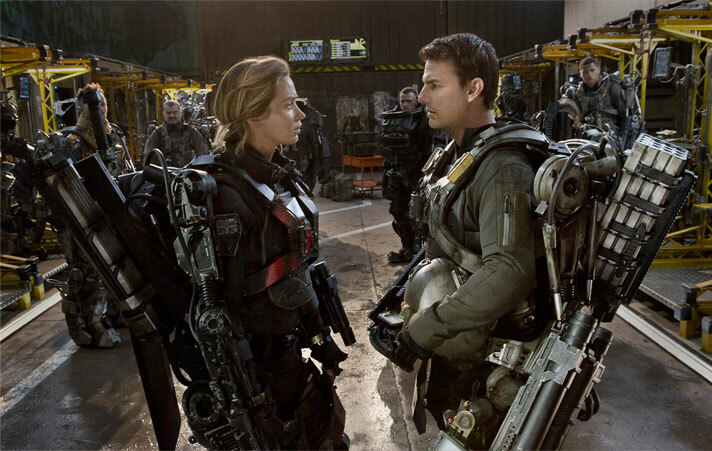 Edge Of Tomorrow is out in cinemas on 5 June 2014. The final point which left me bewildered was the ending scene where Cage was sent back 2 days (instead of one day) before the battle after. If you’ve watched the film, perhaps share with me your reason why you think that happened? Not a fan of Tom Cruise but I think I will give this a try. Nice and precise movie review you got here!